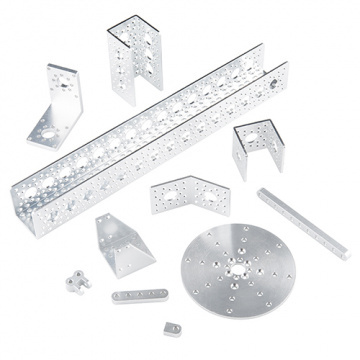 These parts let you support moving components, interface various structural components, and are the basic building blocks to connecting all Actobotics products together. 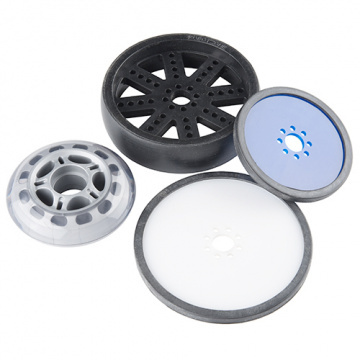 All hubs and mounts use a unique yet universal hole pattern which allows all the various components to connect together in a variety of configurations. Structural parts will provide you with a strong framework for your project. Channels, brackets, beams and more keep your project rigid while also giving you multiple attachment points for expansion. Transferring power can be tricky, but we have all the gears, pulleys, and sprockets to get the power where you need it. Best of all, you don't have to worry about spacing or getting things lined up perfectly, the hole patterns take care of that for you. 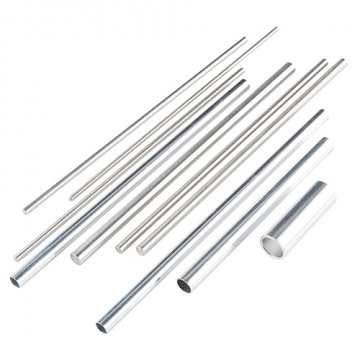 Shafts and Tubing are used to either form rigid structure, or drive-shafts for wheels, servos, levers, and more. Most tubes are also wide enough to accomodate a multitude of wires to keep your Actobotics project tidy. 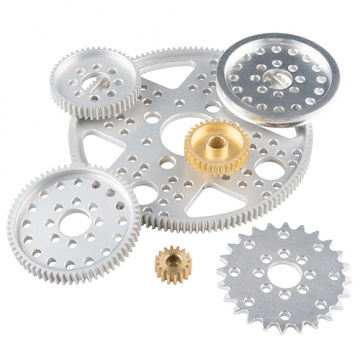 Hardware is what will keep your Actobotics project together. 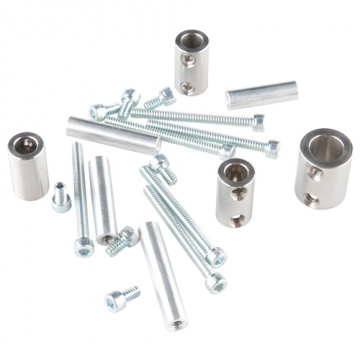 Here you will find a variety of screws, couplers, and collars to secure everything nice and tight. 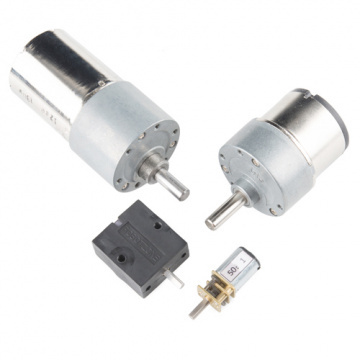 These are the perfect DC Motors for any Actobotics project that needs to get moving. Gears and sprockets would be nothing without these micro, standard, and precision gearmotors! This selection of Wheels should have something for just about anyone. From the big 6" heavy duty wheel, 4.9" skate wheels, to the various sizes and colors of precision disc wheels, there’s a lot to choose from. Servo motors are essential in most robotic applications. We have a wide range of accessories from mounts, gears, and housings to make using them quicker and easier. Not quite sure where to start with Actobotics? Check out the various kits to get you started. 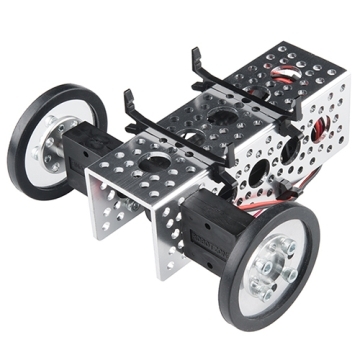 These kits work with all other Actobotics parts, so you can expand as needed. Robotics 101 is a video series aimed at giving first-time robotic enthusiasts the fundamentals needed to start building robots. Sometimes everyone needs a little bit of help getting a project going. With these tutorials and the Robotics 101 above you should have plenty of informative resources to get started! When building with Actobotics, you might want to design virtually before you start purchasing parts. Using a 3D design program would be the easiest way to accomplish this. There are a few different places you can find 3D files for the various components.